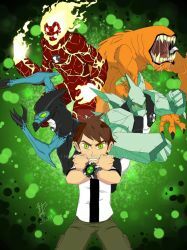 Big fan of the Ben 10 franchise by Cartoon Network and Man of Action. Global Moderator of the Ben 10 Club website. I am willing to be flexible enough to work with other companies as well. 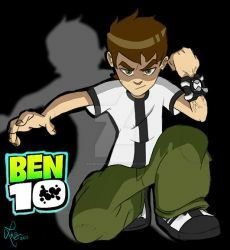 Feel free to check up on and follow me on Twitter and the Ben 10 Club. Did you hear about Grey Matter, Wildvine, and Overflow being replaced by Humungasaur, Rath, and the new alien Slapback for season 3? So, what are your thoughts on Race Against Time, Destroy All Aliens, Secret of the Omnitrix, and Alien Swarm? Michael Morningstar? He started off pretty strong in Alien Force. 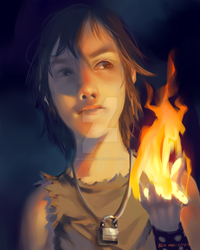 Smart, manipulative, predatory due to the nature of his powers. Granted though, there's also questioning the point of why he even exists when Kevin already exists. Then again, they decided to have Kevin transition into a good guy (in a way that made very little to no sense though). After that, Morningstar just pretty much lost his touch. He especially downgraded in the reboot show although Morningstar does seem like a better fit for Yuri Lowenthal to voice instead of Vilgax. Overall, he's decent. So, ever see Danny Phantom and Kim Possible?